This is a page dedicated to the Debbi Moore Designs products that we stock, all great aids for crafters and crafting giving you all the tools to create handmade personalized cards, scrap booking and so many other crafts. Therefore we have decided to put together this page so you can get a more in depth view into exactly what you get, how best to use the products and the results you can get from this fabulous range. We certainly hope to provide you with as much information as possible so you know what craft products we stock, what they include and if this crafting product or tool is what you need. If you have any further questions that we may be able to help you with feel free to drop us an email to Littlecraftshopireland@gmail.com or simply fill out our contact us form and we'll get back to you as soon as we can. If there is any product from the Debbi Moore range we haven't included and you're interested in let us know and we'll get it featured for you. 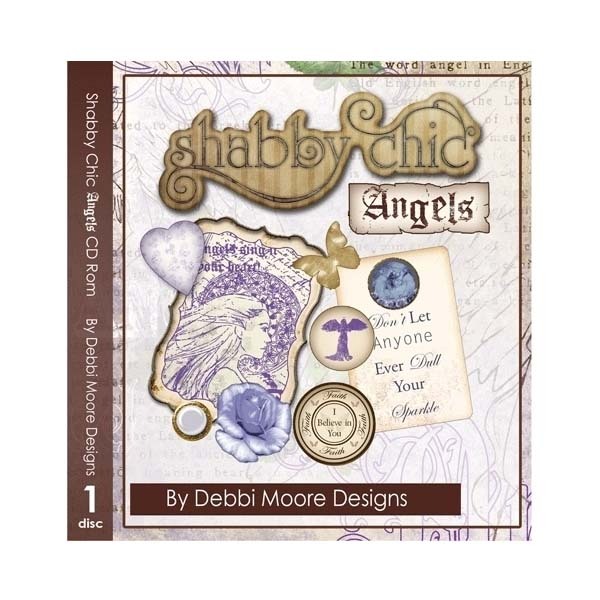 A great range of quick cards, toppers, backrounds, inserts, embellishments, sentiments, projects and so much more...all with the shabby chic angel theme.